A recent study has found nurses working in care homes need more support and education in order to effectively manage glaucoma and the effects the condition has on the health and wellbeing of older people. At Manchester Metropolitan University, Josie Tetley, Professor of Nursing, Donna Davenport, Senior Nursing Lecturer and Janet Marsden, Professor of Ophthalmology and Emergency Care have undertaken research funded by the International Glaucoma Association and the Royal College of Nursing to find out what gaps exist in care home nurses' knowledge of glaucoma. Not a great deal is known about the management of glaucoma for older people, particularly those living in care facilities. But what is known is that nurses working in care homes play a key role in managing long-term eye conditions. They are also important in reducing the use of incorrect medicine and medication errors that occur with older people each year. While the outcomes of work in care homes has focussed largely on issues such as reducing falls or improving peoples overall health status, on a wider scale, there has been little work undertaken to assess nurses’ knowledge of glaucoma management and how the condition might impact on other aspects of health and wellbeing for older people living in a care home. In order to understand what nurses understand about glaucoma and how the condition is managed in care homes, researchers at Manchester Metropolitan University undertook a two-stage project. One-to-one interviews were set up with nurses from 11 care homes across the North West of England. The nurses interviewed were between the ages of 24 to 70, with the number of years qualified ranging from one to 46 years. The amount of experience they have in a care home setting ranging from six months to 25 years. Results from the interviews lasting 30-60 minutes were then analysed by a research assistant. A study day was set up to the gaps in nurses’ knowledge. Nurses interviewed during phase one were invited to the study day, as were nurses from the other care homes in the North West. A questionnaire to test participant’s knowledge level after the event was designed from discussions and focused on glaucoma knowledge, understanding and awareness. Generally, knowledge was limited and there was confusion about different conditions, the impact the conditions have on older people and medication management. All nurses talked about ‘drops’ but most were unable to name them or discuss the medication’s interaction with other drugs and possible side effects. The majority had some knowledge of how to administer eye drops but few had ever been formally trained. Donna Davenport, said: “Some nurses viewed the administration of eye drops as a task without considering the wider context”. All nurses said they would rely on The British National Formulary (the pharmaceutical reference guide) if in doubt, but few identified any other resources available to support their practice. Most nurses talked about pain being a problem for people with glaucoma but they did not discuss its relevance and how this was assessed or managed, if at all. It is worth mentioning, there is no pain with chronic open angle glaucoma (also known as “the silent thief of sight”) and this again confirmed nurses lack of understanding of acute and chronic angle glaucoma. Few nurses talked about the impact of visual problems on activities of daily living or risk management in relation to well-being, falls prevention or loss of vision. Clear educational knowledge and development needs have emerged from the one to one interviews. Knowledge of glaucoma was often acquired through self-learning, or from personal or family experience rather than through formal, structured education. For almost all, the only ophthalmic knowledge had been acquired in pre-registration education which for some, as Davenport explained, “Could have been a considerable number of years ago”. Any additional knowledge was developed if the nurse had a particular interest in the area. Eye care was viewed as being a specialist area and nurses referred to ophthalmologists or GPs who work with care homes when issues were identified. There is a clear need for care homes to address the gaps in knowledge of their staff through robust programmes of study and importantly to provide time for this. Although revalidation may be the driver for improving practice, care homes have an obligation to make sure nurses and support staff are confident in the care they are giving. More community CPD for ophthalmic education is required in care homes to preserve patient vision, reduce risk and improve safety. Care homes could address this through collaboration with GPs and ophthalmologists who already visit the care home and through in-house and outsourced training. 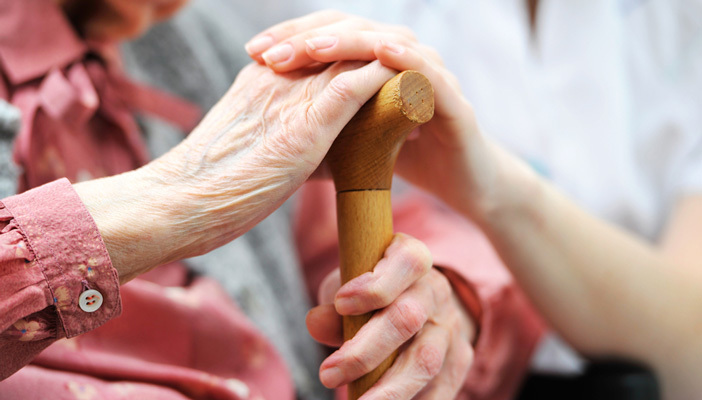 Nurses working in care homes need to engage more with relatives and carers to holistically assess patients' needs, particularly where there are co-morbidities (the presence of one or more additional disorders) and other complex health needs such as dementia, where communication may be an issue. Nurses working in care homes need more education and support for medicine management particularly in cases where older people are taking four or more medications. Further research is needed to address these issues and identify ways to reduce risks involved in medication errors. Davenport added: “Gaining access to care homes was, for us, a unique opportunity and we are grateful to everyone who participated. The findings clearly show the need for care homes to address the continuing professional development of all staff involved with caring for older people to ensure high-quality evidence-based practice and in order to develop the workforce who are crucial in ensuring that practice is safe and effective. This study, whilst small, has identified a number of key themes which need to be addressed to reduce risk and ensure staff have the right skills to deliver high-quality care. We saw and heard some excellent examples of good practice despite some of the challenges and barriers faced by the staff interviewed. However, more needs to be done to enhance and develop nurse’s skills in eye care, particularly when caring for the elderly”. To find out more about the report into nurses knowledge of glaucoma in care homes, please contact Professor Josie Tetley at [email protected] or Professor Janet Marsden at [email protected].